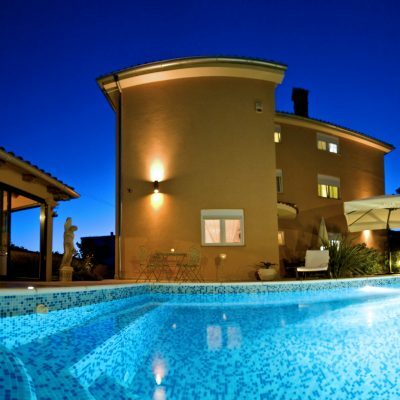 Villa Mihaela your ideal vacation place and a starting point in discovering this beautiful area. Spontaneity, hospitality, recreation or daydreaming at sunset, intertwining of old and new, the taste of salt and the aroma of olive oil - it all says Fažana. Excellent, very wide and comfortable bed, effective air-con. Loris and Michaela were very welcoming and helpful hosts, who arranged a taxi for us to catch a ferry for the next leg of our journey. Nice pool, and surroundings. Very secure. The hosts of the accommodation were really friendly and welcoming. Loris gave showed us the best places to eat, explore and relax. The apartments are a short 7 walk from Fazana Centre. Secured parking, comfy pool area with sun and shades, depending on your preferences. Really cool & talkative owner with good hints where to have good coffee and best food. Just a few minutes walk to the beach and restaurants yet in a very quiet area of Fazana. Loris is great host, gave us many tips on what to do and see. We had a wonderful long weekend!